I decided to do a weekly news blog post (and I am forcing myself to do it for two weeks) because it would be nice for you to know what is happening (and what have I done in last week) and a great mood boost for myself (that actually something IS happening). Not so much. You may not know that I work as a graphic designer / teacher at university. And I study English lecturing at another university, which is about three-hours drive from my home, so I spend too much time travelling every week. Sharess with a little story how he met his apprentice. 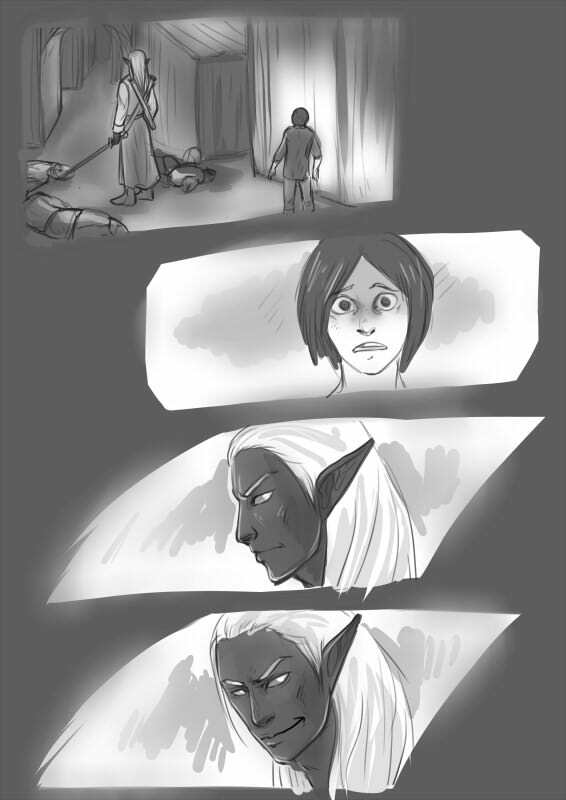 This was supposed to be a sad-elf-with-blood-kind of comic page, but I had time only to finish the first part. Maybe I’ll finish it later. I dont think that I will have time to draw another comic page during the week (because I´ll have two exams and should read two books for finishing other classes), but I’ll try to at least draw some nice chibies.